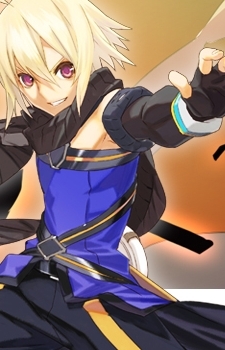 His parents were killed by Lloyd Irving, the main protagonist in the original Tales of Symphonia. He is portrayed as a coward, but promises to protect Marta Lualdi, the bearer of the Ratatosk Core by forming a contract with the Lord of Monsters, Ratatosk, thus making him the Knight of Ratatosk. He receives the strength to fight against monsters through this contract, making his voice deepen, his eyes turn red, and his attitude bolder. In the duration of this phase, Emil is more violent and blood-thirsty, which is why some call him a monster. This form is later on called "Ratatosk Mode". His goal is to help Marta hatch the Centurion Cores and ultimately avenge the death of his parents. Later on in the story it is discovered that Emil is not really Emil Castagnier, but actually a personality created by Ratatosk who was implanted with false memories. The name Emil belongs to a person who most likely died during the Blood Purge. Ratatosk assumed the form of Aster, possibly because he was the last human he saw before Richter reduced him to core form. Ratatosk/Emil were awakened by Marta Lualdi as she called for help in Palmacosta. In a ruse to escape, he implanted her with a fake core to draw attention away from himself while he regained his power. Exhausted, Ratatosk became dormant while the personality Emil took it's place. The new Emil, in the guise of Aster, wandered upon previous Emil's dying parents and Emil's mother Lana, now blind, mistook him for her son. Emil then followed her directions to escape to his aunt in Luin. With the "spirit" of Emil and physical form of Aster, he was able hide after being attacked by Richter Abend. The Emil who acts as the protagonist in the story is the personality Ratatosk created which grows from his experiences after fleeing Palmacosta. Some clues that other characters are aware the new Emil does not look like the real Emil despite taking on his identity are when the player meets Ms. Dorr, the widow of Palmacosta's governor-general, and Thomas, Emil's apparent next-door neighbor, both stated that they didn't recognize Emil, but eventually let it slide. Tenebrae chose to let Emil/Ratatosk live for a while without telling him the truth, even letting him believe the core on Marta's forehead is real so the gathering of the other Centurion's cores would be easier. The pact with Ratatosk and the title of Knight of Ratatosk that go with it in fact do not exist, and are fabrications by Tenebrae.